A tunable plasmonic filter waveguide with indium antimonide activated by graphene layer configuration is proposed and numerically investigated. We demonstrate that the proposed tunable single-stub plasmonic filter using a thin layer of graphene can operate in the terahertz (THz) region as a notch filter. To investigate the transmission response of the structure, finite element method (FEM) calculations are utilized. The designed filter has precise minimum of zero at the notch frequency and also it improves the maximum transmitting light. Moreover, by applying the gate voltage between the graphene sheet and the InSb substrate, it can be seen that the central frequency of the filter is shifted by 32 GHz, and also the maximum of the transmission has been improved by 64% from 0.56 to 0.92 which shows less power loss. Furthermore, a band-stop plasmonic filter is proposed by increasing the number of stubs, which improves the bandwidth of the filter by 33% in compare to a single-stub structure. 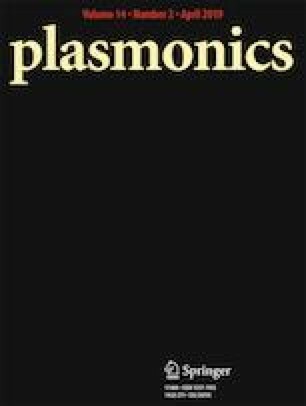 With such advantages, this structure is promising for future integrated plasmonic devices for applications such as communications, signal filtering, and switching.